Trainer Tom Amoss reported on Twitter that his star sophomore filly, Serengeti Empress, suffered an episode of exercise-induced pulmonary hemorrhage during Saturday's running of the Grade 2 Fair Grounds Oaks. She took up her customary position in the front of the field at the start of the contest, but faded in the stretch run to finish last in the seven-horse field. She was eased up after the wire and given a precautionary ride back to her stall in the horse ambulance. According to Horse Racing Nation, Serengeti Empress was resting comfortably on Sunday morning. 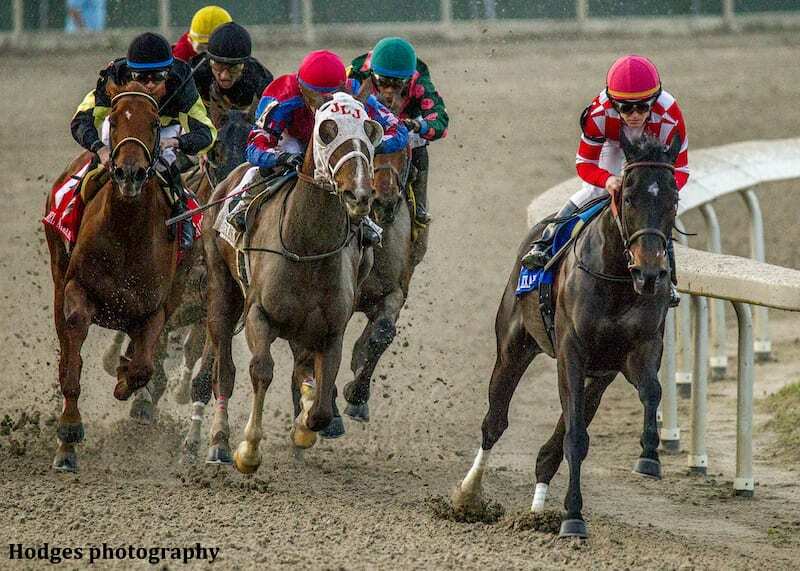 With six weeks until the Kentucky Oaks, Amoss wasn't ready to rule out the daughter of Alternation, but said his first priority was the filly's well-being. Serengeti Empress has won on the front end three times, by 13 1/2 lengths in the Ellis Park Debutante, by 19 1/2 lengths in the G2 Pocahontas, and by 4 1/2 lengths in the G2 Rachel Alexandra Stakes. She was favored at 1-5 in the Fair Grounds Oaks. This entry was posted in Racing and tagged alternation, EIPH, exercise induced pulmonary hemorrhage, fair grounds, fair grounds oaks, kentucky oaks, lasix, serengeti empress, Tom Amoss by Paulick Report Staff. Bookmark the permalink.